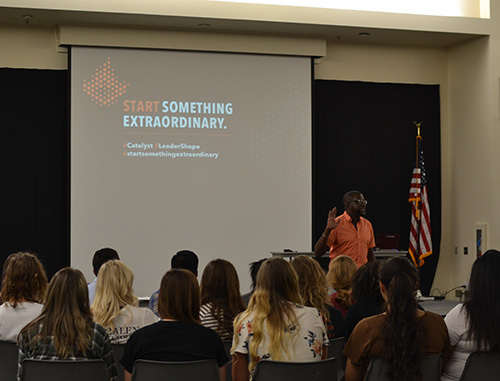 The SUU Summer Leadership Academy is an opportunity for students, new and returning, to improve their leadership ability. You will have a chance to network with other student leaders on campus and become more familiar with campus, especially if you are an incoming freshman. This experience will change your life. The conference will cost $75 which will cover housing and meals. During the application process you will be required to pay a $25 deposit to hold your place. If you are selected, that money will be applied toward your registration fee. Your acceptance is not dependent on your current class, position, or leadership experience. If you have any questions, please contact Tyler Anderson at tanderson@suu.edu. Applications for the Summer Leadership Academy are now closed.